My point from last Monday is the OBSOW folk monitored our plants creation from day one and they are still monitoring Mother Earth. Every few million years they would check their data from the satellites circling Earth and if they saw something they did not like, they investigated and removed what they considers a “virus” and removed it. There were a few times, they started all over because the human population went off in a direction they did not want. 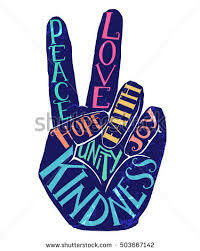 They wanted the population to end up in a spiritual awakening and living in joy and bliss. Finally several civilizations started and progressed and the OBSOW folks visited they and assisted them with some of their advanced tools. 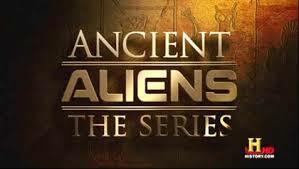 Following basically the same concept as the “Ancient Alien” show on History Channel they continued to visit us and assist different civilizations from the begging until now. Just last week on Ancient Alien we saw new videos of Air Force fighters chasing lights. Folks! They are here and going nowhere. We believe that they are working with governments all over the planet, but as we all know, none of the governments will acknowledge they exist. We think we know why. Like in Ancient Aliens, any light of object moving fast was thought of as a God or some sort of deity back then. So think about the ramifications of all the governments of our world admitted that we are and have been visited by OBSOW’s for millions of years. It would be a catastrophic blow to all religions that exist today. All those angels were UFO’s, that star that let the three wise men was actually a flying saucer, and everything in all he Bible’s would come under direct scrutiny. We were raised Catholic and never did believe all that stuff in the Bible, especially how Mary manifested Jesus. 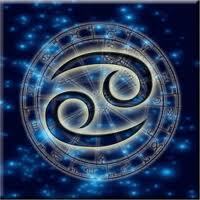 Just because you manifest something, that doesn’t mean it just is crated. Actions need to be taken and if it was “God” who impregnated Mary and now “God” turns out to be a OBSOW, that would make Jesus half human. We believe that Jesus did exist and his message was that of the OBSOW, but as we all know only a few listened. We don’t believe that Jesus died on the cross, mainly because his body has never been found and we have read where the Knights Templar have documented evidence that Jesus did not die on the cross (Holy Grail). We once saw a special about this very subject. Mary Magdalene and some friends went to where they laid Jesus and he and Mary (Who was carrying his baby) we escorted to a waiting boat and they went to Portugal/Spain, where there is some evidence that this happened. We believe because of the religious issues the Pope and every other religious leader do not want the governments of the world to acknowledge they exist. 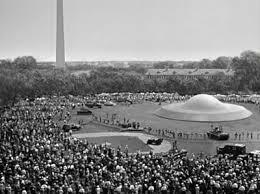 We do believe that within the next five years or sooner, the OBSOW will be making a world wide appearance, kind of like in movie “The Day the Earth Stood Still”. Look Mom! It’s OBSOW coming for a visit! So let’s get to this moment. Like a good friend of mine used to say “I need to bend my head to the side so that all information in my brain can drain and make room for new information.” So we are draining the past and moving on. Over the last few days we have been practicing Astral Travel. We learned this back in the 90’s and became pretty good at it, but after not using it for a long time, we are once again practicing. Astral projection (or astral travel) is a term used in esotericism to describe a willful out-of-body experience (OBE) that assumes the existence of a soul or consciousness called an “astral body” that is separate from the physical body and capable of travelling outside it throughout the universe. This is a tool we used and were taught by an expert because it can be very dangerous if you don’t know what you are doing, so please get expert help if you would like to learn the concept. We have nothing else to add right now except we will continue to look at the skies for our OBSOW friends. Maybe we could talk them into giving us a “Corvette” version of one of their “saucers” so we can buzz down the main drags of all the cities in the world. Like flying through the St. Louis Arch, down Michigan Ave in Chicago, down Broadway in NY City, under the Golden Gate Bridge, buzzing the Eifel Tower in Paris, buzzing Red Square in Russia, and just about every other major city and several friends that come to mind. Thank you for supporting our site and many blessing to all of our subscribers. After completing a deep mind clearing meditation we turned on Josh Gates “Destination Truth” which is one of our favorites Josh shows. In this episode Josh and the group are in Antarctica investigating abandon buildings from when researchers were once occupied but have long since departed. There were reports that sounds and mysterious movements were coming from the abandon buildings. Sure enough Josh and the gang did experience sounds and object movements in most of the buildings. The assumption is of Ghosts from days long ago. We have watched other “ghost” chasers shows on other channels and there are plenty. Every one of them gives us the creeps. We think that some of them might “create” some of the stuff, but mostly its real happenings. Just like Josh they all have fancy gadgets to record movements and electronic impulses. When they sit in a room and ask “Is anyone here?” we know something is coming and “bang” the hair on our neck stands up and we think “of course something is going to happen because this is what the show is about and they are not going to show nothing happening because that would be boring”. We still freak out. There is one show about an entire town and surrounding towns being haunted and we have the same responses watching that one also. So what is a ghost? The only definition we have heard is that it’s when a person dies suddenly, or brutally, their soul does not know how to get to the “other-side” and is some cases, the ghost remains and continues to scare the crap out of people like us. But what about the people who die quietly in their sleep? Do they go right to the “other-side”? Actually we once read that when a person dies the soul remains for about 72 hours before departing. But not all, some stay and this is what we started thinking about. Why do they stay? This is a phenomenon experienced in every part of the world. There must be a connection or a reason no one has ever explained. Granted some ghost are from humans that passed, but the other “ghosts” are Alien Souls left behind from the human souls that went to the “other-side”. The Alien Souls hang around because they have no clue where to go, because they were part of the human DNA carried over from long ago. They remain and act like their human counterpart, banging stuff and making humanlike sounds until eventually they find their way to the “other-side”. So this is our theory and we have no idea why this came up tonight. 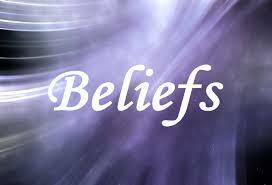 We were preparing for our next “Belief” post and thinking about it before our meditation. So to Josh Gates we say “Hey Josh, your show not only freaked us out, it inspired us to start think about Alien Ghosts.” This is a perfect example of being clear minded and some of the surprises that come up every once in a while. We love this stuff and every moment is over the top with surprises. Hold no expectations and then when something like this happens be joyful and grateful for the surprise. We have been watching Ancient Aliens since the beginning of the series. We agree with just about everything they are about. Were aliens involved in ancient civilizations, yes and shared technology such as astronomy, high tech tools, etc. Were the “lights” in the sky aliens? Yes, not gods or angels, it was aliens. Were some of the Pharaoh’s aliens? Yes, and it was common that aliens to intermingle with the people then, and they still do even now. There are supposedly experts that say aliens had nothing to do with the building of the pyramids and keep building mini-versions, but until someone manually builds a pyramid completely manually, we agree that aliens had to be involved. When you see some of the Mayan carvings of “space men” and called them Gods sure does make a great point. One of the Arc of the Covenant theory’s is it contains a high tech weapon for war given to King Solomon by aliens. A theory that we are researching is that aliens started by planting humanity on this planet and monitored the progress. If they did not like the progress, they created a natural disaster to eliminate the species and started all over again. They did this more than once and after they liked what they saw, they did continue to eliminate small sections of the species until they were completely satisfied. They are still here and monitoring our progress. So let’s talk UFO’s. The ones we see are certainly aliens, and will never be admitted by our government or any other government that they are real. Because aliens are so advanced, there have to be stealth UFO’s, and the UFO’s that come and go in an instant, are believed to be inter-dimensional travelers. We agree with all of this. Why? Because in the late 50’s my friends and I saw a UFO in Hammond, Indiana and it’s documented. My friends and I were hanging around drinking Pepsi’s at the local store on 169th street when we heard sirens off toward the west. We all moved over to the side of the street and coming toward us at about 400-500 feet traveling at high speed was an object flashing red, green, and blue lights. It zoomed past us and then came several police cars giving chase. They had no chance to catch the object. It was moving way to fast. When the object was about a ½ mile east of us on 169th street it stopped on a dime, like they were waiting for the police to catch up. Then after a few seconds the object continued at high speed east. My friends and I tough it could have been a helicopter, but there was no sound. The next day we read about it in the local paper. We were shocked, but being young thought it was cool and we got a chance to see it. One of the issues with Ancient Aliens is that proving the alien theory has so far a bit tough. Photos don’t seem to be proof enough. When a body is found that might prove it, but on all the “so called” crashes the government steps in and removes the evidence. Some guys have stepped up and said the “alien bodies” were removed, but don’t have proof. We recently saw a show (Don’t remember which one) that stated that because the aliens are monitoring us, if it looks like a nuclear war is going to break out, the aliens will stop it. Yes, they know that a nuclear war will wipe out the entire population of this planet and hopefully take action with the warring parties. We think that stopping the war would require an appearance like a low fly by to show they are here and they are real. A 1951 movie named “The Day the Earth Stood Still” comes to mind when we think about this. So to the producers of Ancient Aliens we say “GREAT JOB” you guys! We are a dedicate fan and we know there are many more, even ones from places far, far away. We have nothing to report except to say a million thanks you to our supporters and a billion blessings.